Beautiful Hardwood. Great Brands. Great Prices. 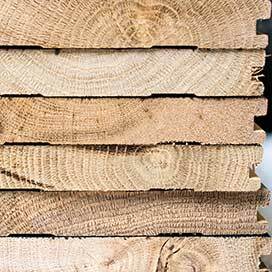 Choose hardwood from Carpet Depot to select from many different colors and styles such as gunstock, blond, oak, prefinished, unfinished, and more from top manufacturers at great discount prices. We also carry laminate flooring, a durable and budget-friendly option, that can be just as beautiful as real hardwood. Just bring in the measurements for the room or rooms that you are looking to get hardwood or laminate in, and we’ll help you pick the perfect option. Hardwood flooring is beautiful. It creates an elegant look that never goes out of style. Hardwood is very durable. It can last a long time, usually 25 years or more. With proper care and professional installation, hardwood flooring can even last a lifetime or longer. Even if hardwood floors get dented or scratched, they can be refinished and look brand new again. Hardwood flooring can add value to your home and increase resell value. Solid hardwood is just what it sounds like: it is made from a solid piece of wood that is attached to the subfloor. 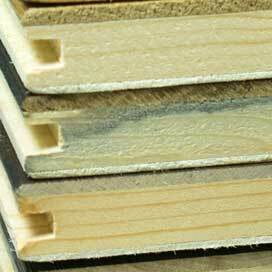 Engineered hardwood is several layers of plywood with a thinner layer of hardwood on the top. It can be either nailed down like solid hardwood or float above the subfloor. Solid and engineered hardwood flooring are very similar with only a few differences. The first is that engineered can be installed on any level of your home including the basement. 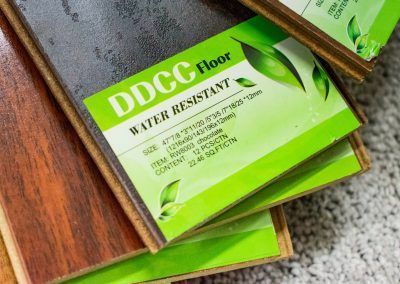 Solid hardwood expands and contracts based on moisture and temperature, which means that it is not ideal in bathrooms or basements. Another difference is that engineered, while it can be refinished, typically can not be refinished repeatedly. You will usually only get one or two refinishes out of it. 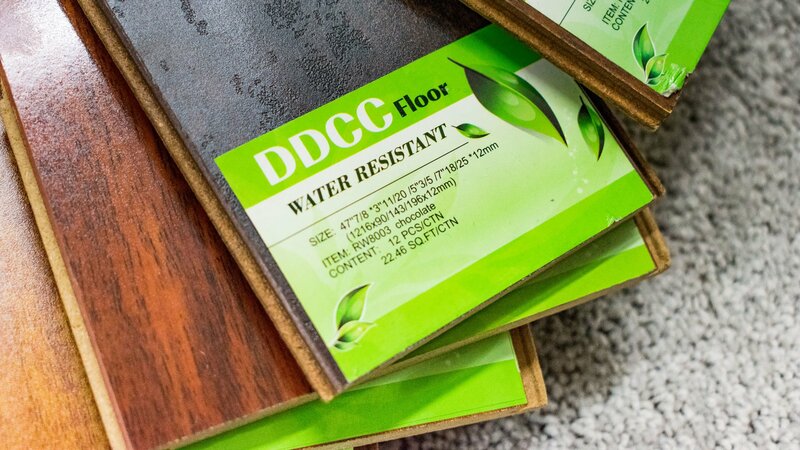 Laminate flooring is extremely budget-friendly, while also being incredibly durable. It is highly resistant to scratches and scuffs. 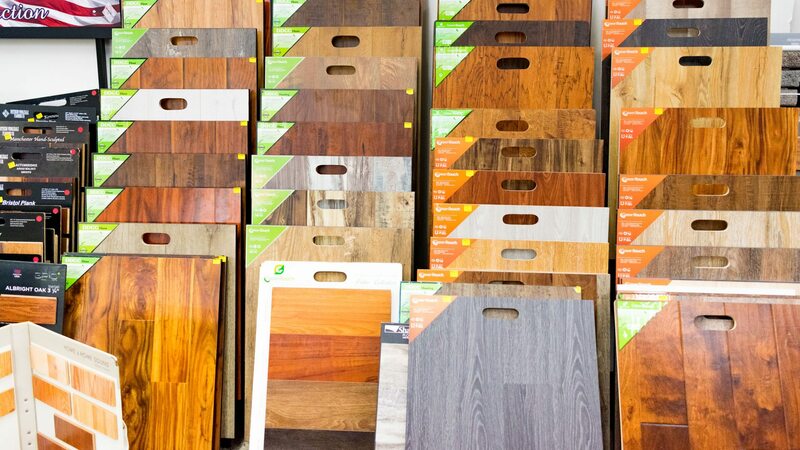 Laminate comes in a huge variety of colors and textures. 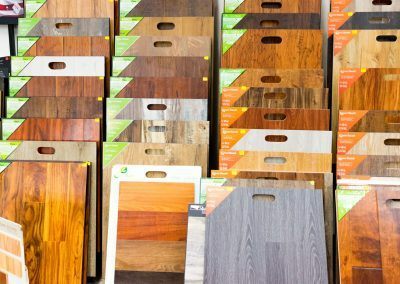 Many laminates are designed to look like hardwood, and it can be incredibly difficult to tell the difference. There are others that are designed to mimic the look of stone or tile. Laminate can be installed over existing flooring, with the exception of carpet, and on any level or room in your home. Laminate is great for pet owners because of its resistance to scratches, while also being easy to clean up pet messes and hair without the need for special products.